When a company relies on its manufacturing components and finished products to arrive safely in transit, it's important to have international transport insurance. There are several risks involved in worldwide cargo transport. Depending on the points of origin and destination, reaching a shipping and transport destination safely with all of its contents intact can be a challenge. 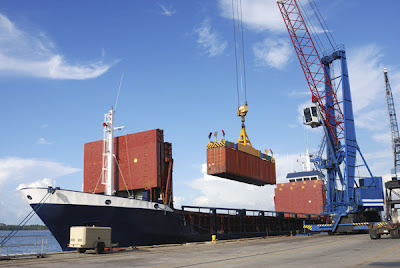 There are a number of financial burdens that can be eliminated or minimized through a reliable international cargo insurance plan should anything happen during transport. Many risks and hazards increase dramatically in certain locations. There is a variety of risk involved in international transit, depending on how the products or components are sent. Oftentimes they go over land, through the sea and in the air. Trucks and other vehicles must cross many miles laden with hazards. Treacherous roadways are common in some countries abroad, including high altitudes, unpaved streets, absence of guardrails, and an abundance of animals, cars and people in the vehicle's path. In some international hot spots, vehicles are used as targets in acts of war and terrorism, regardless of the company's political affiliations or allegiances. When crossing through hostile areas prone to war and terrorism, such as Iraq and Afghanistan, or volatile weather zones prone to extreme heat, floods, dust storms and other hazards, cargo transport faces an increased risk. Sea travel also risky, pitting ships and barges against strong storms at sea, vessel collisions, pirates and acts of war. Goods in transport can sometimes become lost or damaged. International cargo insurance is one way to provide financial protection against these losses. Air travel offers a more expensive alternative to land and sea. While transport time is often much shorter, it must still contend with the hazards of the air. These often include terrorism threats and acts of war, extreme weather patterns, unsecured airports and poorly maintained landing strips. What may meet the pilot and cargo at their destination is often unknown, making the risks higher.